Growing conditions for crab apple trees are similar to other fruit trees, with the exception that the crab apple can grow in partial shade. It is most often grown as pollinator for other apple tree varieties, as cider apples, or for the fruits that make good jams and jellies due to their high pectin content. There are several varieties which give edible fruit. Follow the planting and growing guidelines for other apple trees to establish good conditions for crab apples. Choose a garden location that receives full sun for optimum growing conditions. Crab apples tolerate partial shade. The tree grows to 20 feet in height and width. The branches droop as the tree grows and excessive fruit drop can create maintenance problems. Plant away from sidewalks and driveways. You can plant a crab apple tree near the house to enjoy the fragrant blossoms in spring. Crabapple trees are good pollinators because they release such a large amount of pollen over time. Soil conditions for the deciduous crab apple can be variable. They prefer well drained, common garden loam but tolerate many soil conditions. If soil is very heavy and clay-like, add one shovel full of compost at planting time. Use compost as a side dressing during dormant season for a continual supply of nutrients. Good soil increases fruit production and disease resistance. 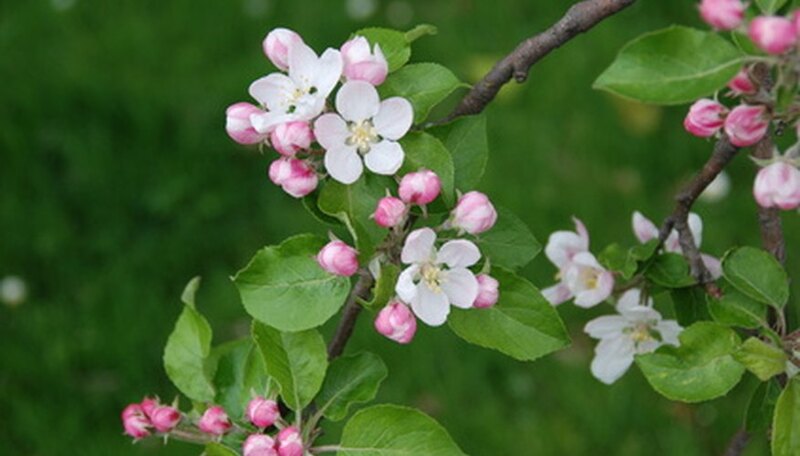 Healthy growing conditions help crab apple trees produce abundant flowers and fruit all season. Water conditions for crab apples vary according to local weather. Crab apple trees are somewhat drought-tolerant. Establish a regular irrigation schedule for optimum growing conditions. Water weekly when young tree is becoming established, soaking thoroughly to a depth of 6 to 8 inches. Maintain good growing conditions for the mature tree by watering when topsoil is dry to the touch. Prune crab apple tree regularly in early spring to give them plenty of air circulation. Pruning also assures an abundant crop of fruit the following season. 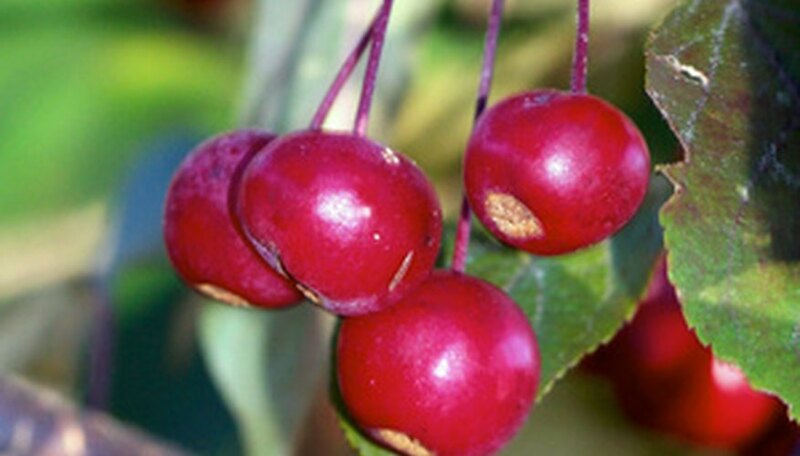 Maintain a healthy growing condition for a crab apple tree by harvesting fruit when it is ripe. Disease problems can develop when fruit rots on the ground or the tree. Mildew diseases develop from the overly moist environment that rotted fruit creates.